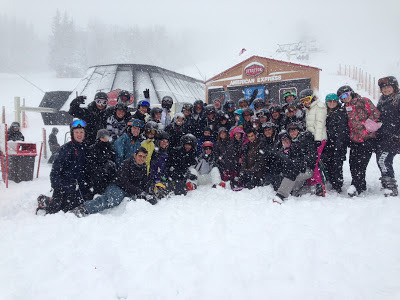 On Tuesday, February 26 and Wednesday, February 27, 50 Seniors journeyed to Stratton Mountain in Vermont for our annual Senior Ski Trip. 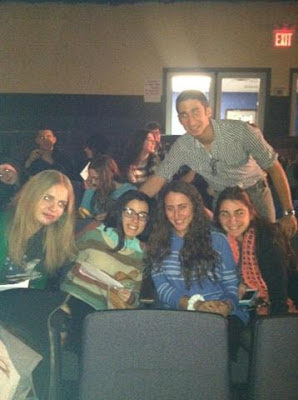 The excursion was led by Senior Council and Jewish History Department Chair Ms Miriam Wielgus. 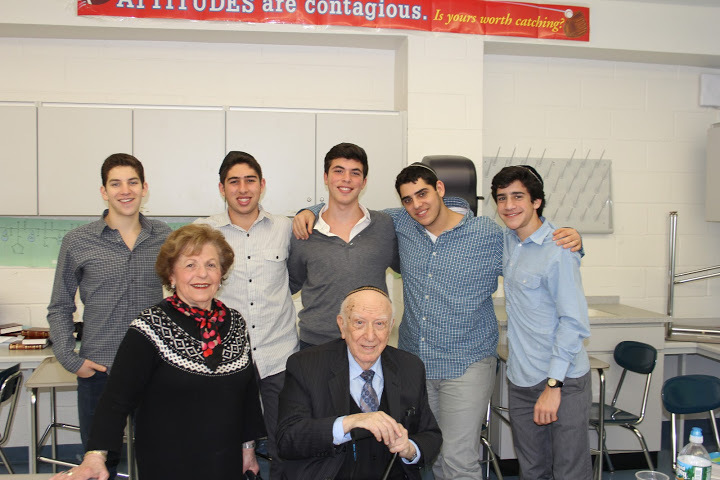 The students were accompanied by Assistant Principal Rabbi Joseph Beyda and English teacher, Ms Ariela Robinson. Last week, the entire senior grade had the opportunity to listen to three representatives of a very special program in Israel called Gesher. 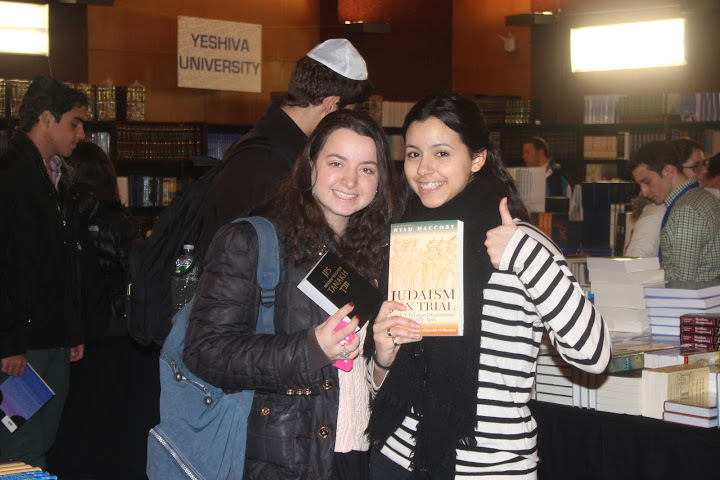 They each explained, through personal experiences and outlooks, that the purpose of Gesher is to close the gap that exists between the religious and secular Jews living in Israel. Like its name, meaning "bridge," suggests, this organization works towards strengthening the connections and the achdut of am yisrael, by creating opportunities such as seminars in order to allow for bonding and learning to live side by side as members of the Jewish nation. We learned of the strong positive efforts that exist in Israel, that stresses further to us the importance of standing together with the rest of our brothers and sisters, our fellow Jews, regardless of our different heritages, traditions, ethnicity or religious observance. Every student has their own personal interests and passion for different subjects in school as one would hope. My favorite subject happens to be science whether I'm learning about the human body or tiny particles that make up matter. Science in itself is all about asking questions and finding answers that help us understand how the prodigious world we live in today functions and how we, as humans, are able to live in this world? During my eighth grade school year, I did my own research and created a powerpoint presentation on particle accelerators. I also had the opportunity to speak with a physics professor at Columbia, Dr. John Parsons, who also works with the Large Hadron Collider, the largest particle accelerator in the world. As I got in touch with Dr. Parsons and discussed particle accelerators and basic physics, I got the opportunity to meet him at Columbia University. 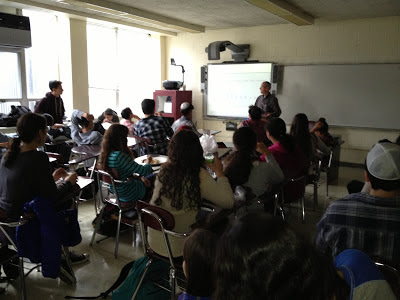 Dr. Parsons voluntarily agreed to visit the Yeshivah of Flatbush Joel Braverman High School and talk to students about his profession, opening the doors to new opportunities for eager young physicists. During his visit, Dr. Parsons explained what particle accelerators are and what crucial information they provide us with toady. Particle accelerators propel electrons, at nearly the speed of light, around a circular track many times. After each lap, the magnetic field is strengthened so that the beam of particles accelerates faster with each lap. When the particles are at their highest energy, a target is placed at the path of the beam, near detectors where the collisions would occur. The "stuff" that is released during those collisions, contain a high amount of energy. Physicists like Dr. Parsons who work with the Large Hadron Collider in Switzerland, are trying to reach energy as high as it was right after the Big Bang. After the Big Bang explosion, scientists believe that the universe came about, starting out with high energy and rapidly expanding at a very high temperature. As the earth started to cool off, the high energy turned into more complex subatomic particles that make up matter. Slowly enough different elements were formed that we are familiar with because of the periodic table of elements. Particle accelerators are here to determine what was the high energy "stuff" that came right after the big bang before the Earth started expanding and how that changed into subatomic particles. Scientists believe that shortly after the Big Bang, particles had no mass. Several years ago, a physicist determined that the Higgs Boson, a magnetic field of particles gave other particles their mass. The Higgs Boson is the key that will determine how particles got their mass. The Standard Model that we have today doesn't determine the exact mass of the Higgs Boson. In fact, the Standard model only tells us about nearly 5% of the matter that we are made of. It doesn't explain anything about the dark energy, dark matter and anti-matter that is present in any room you are sitting in. The model also explains how subatomic particles that make up matter are held together by the four fundamental forces of nature that include strong nuclear force, the weak nuclear force and electromagnetism but doesn't include gravity! So why do we use this model today? Well, quite frankly it's the best theory we have so far to explain. That's where research comes in to enhance our understanding of the universe. A Tse U'lemad group of Juniors met weekly from Succot to Purim in the class: "The Meaning of Life: Conversations" with their leader, Dr. Rosalie Reich. Readings by Jewish religious and secular philosophers were distributed weekly and were the basis for class discussions and writing. As students gained "philosophic awareness," they expressed their ongoing commitment to goals and values emanating from their immersion in the topic. Last Week, the Yeshivah of Flatbush's Poetry Slam club attended a poetry slam at S.A.R High School. 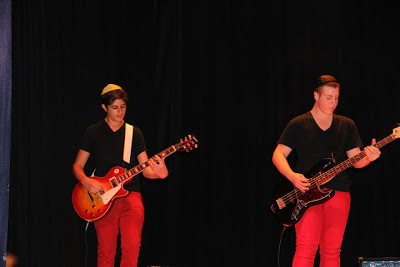 The theme of the slam was based around Purim and students were invited to write and perform two poems: a free verse and a Pantoum. Bonnie Azoulay, Jacob Tessone, and Fanya Donin represented Yeshivah of Flatbush in their fourth competition in the past two years. We are proud to announce that of the 42 students who competed from various schools, Bonnie Azoulay won the award for best poem of the day. Jacob Tessone was also a runner up and made it to the final round. We are so proud of our poets and look forward to the next slam! Please emailHeresToYouMsRobinson@gmail.com if you'd like to participate in the next slam. Flatbush held it's annual debate on Wednesday night and it was a rousing success. 10 Yeshivot from the NY-NJ area attended and we had students all over the building, and with coaches and guests, there were over 100 people involved in this event, and 30 separate matches were played. Not only did the debate itself go off without a hitch, but our students did exceptionally well. Arguing the resolve: 'the Postal Service should be privatized', Jacob Setton and Isaac Dayan and Michelle Kreidmen and Jacqueline Baum both came in the top 3 of all 2-person teams competing, Joy Feinberg was one of the top 3 individual debaters, and best of all, the 8 members of the Flatbush team who competed last night, including also Charles Chakkalo, Sammy Tbeile, Bonnie Azoulay, took Flatbush to a win as #1 best overall school. Team captains Ariel Aiash and Michelle Sabbagh helped to organize and run the debate, other members of both the Varsity and JV teams worked on it as well, as did Mr. Brian Katz. 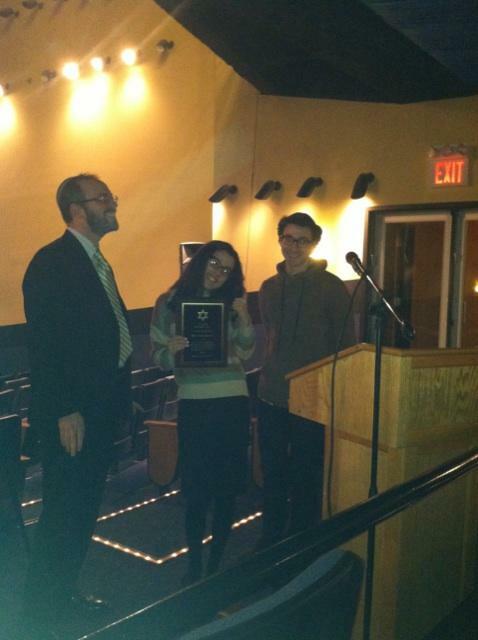 The coordinator for the entire evening's event was the Flatbush Debate Coach, Ms. Shelley Kaplowitz. Head advisor, Louis Ades, said, "So many relationships were formed between seniors and sophomores. We got the opportunity to interact with each other and have meaningful conversations about the things in life that really matter." Sophomore Seminar highlighted the importance of self commitment to change. It highlighted that in life there will be many obstacles that you will have to face, but it is important to try to overcome them.The various speakers, sessions, and videos proved to the sophomore grade that at this time in their lives they have an opportunity to set the direction of where they want to go in life and what they want to achieve. On Thursday afternoon, the sophomores had a program in school with JACS in order to learn about the importance of making the right decisions. Friday morning the excitement was roaring. Everyone loaded the buses and headed to the Berkeley Hotel. After getting comfortable in their rooms, the sophomores took part in a program which discussed the problems with bullying. 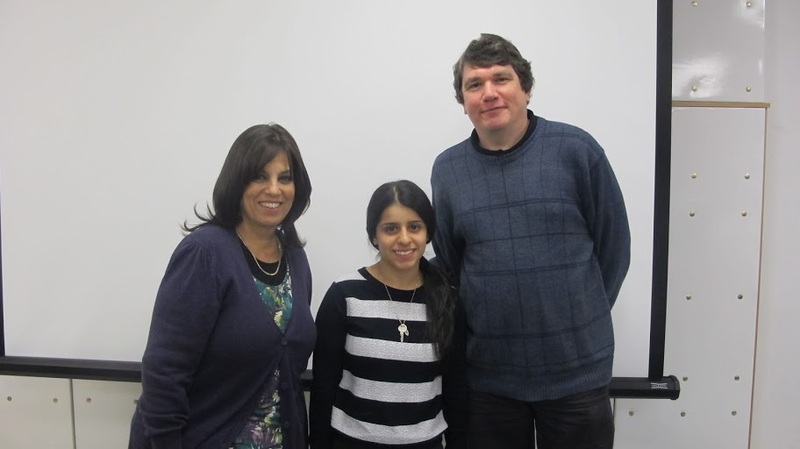 Debbie Nehmad (HS '09), spoke about her experiences with bullying and the courage it took her to speak out against it. Following the speaker, students had the opportunity to express their opinions in an advisor session. 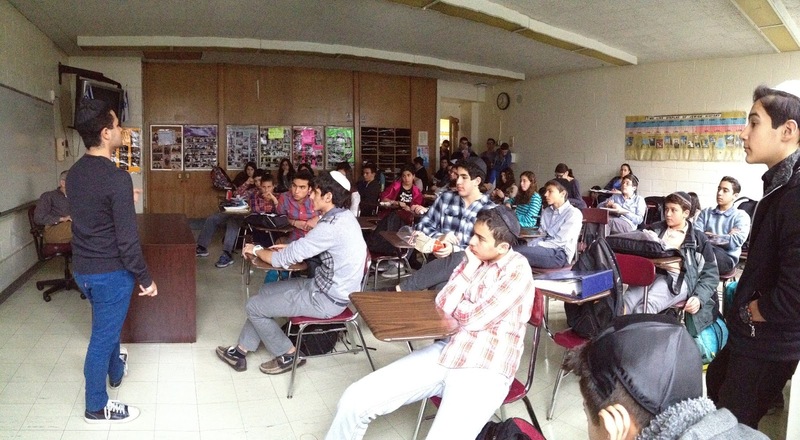 After lunch and dancing, a senior spoke about the kedushah of Shabbat. 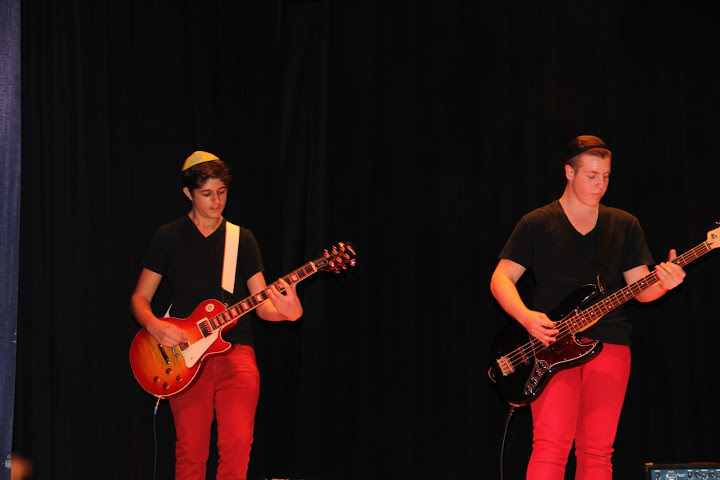 After changing and having a bit a free time, students, joined by teachers, and their advisors brought in Shabbat beautifully with pre-Shabbat ruach. 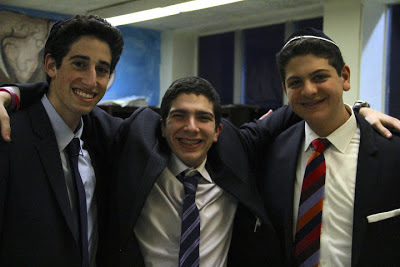 After davening and dinner Sophomores had a session about the importance of relationships. Friday night came to an end when student gathered late Friday night at the tish. Students got the opportunity to share stories and lessons that they learned from a past experience and also to pass the message onto others. 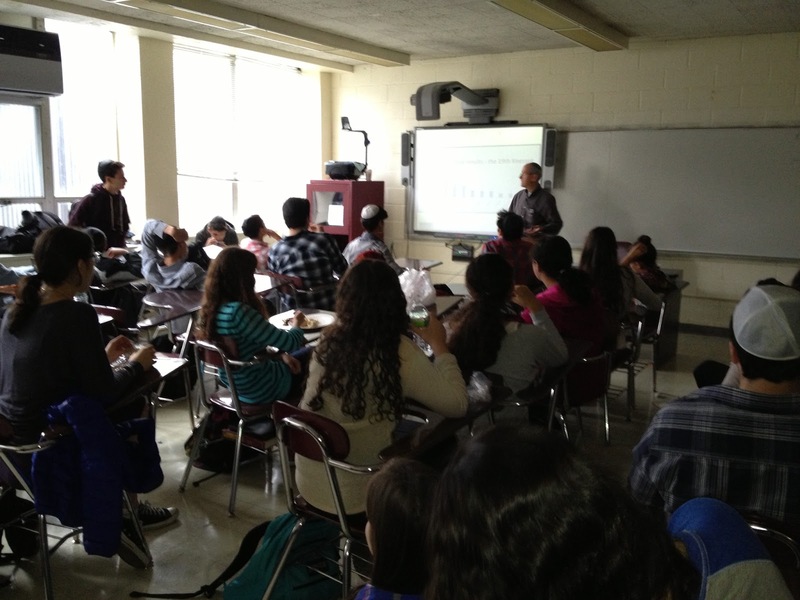 Shabbat was filled with with an advisor session and an elective session. As Shabbat was coming to an end, we sat together in a circle to sing during Seudah Shelishit. We then had a musical havdalah followed by rekudim. After we had to to shower and change we enjoyed some fun activities during class wars. The night came to a close with an emotional and inspiring program, which ended with a kumzitz. By the time Sunday came around, no one could believe the weekend went by so fast, but they knew they had learned life lessons forever. 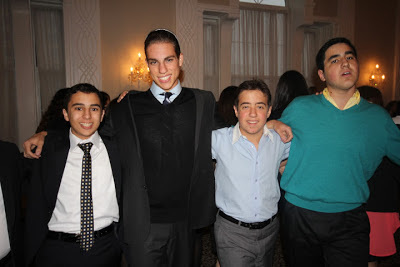 This year a group of Juniors had the opportunity to participated on 8th grade shabbaton as advisors. We met our groups of students Thursday night and got to know them over dinner at the elementary school. Early Friday morning we got the students on the bus and shortly after, arrived at the Berkeley Hotel. 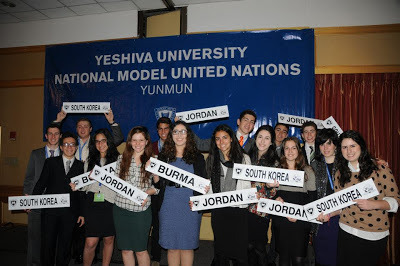 The program immediately started with a game show followed by a session about Shabbat. As advisors this session was a great opportunity for us to share with the 8th graders the greatness of Shabbat. 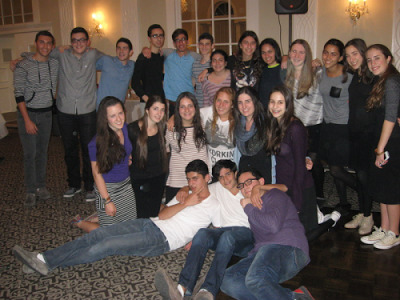 They were then given free time to get ready for Shabbat and then came together for pre-Shabbat ruach. Throughout the entire Shabbat, as role models for the 8th graders, thejuniors helped them experience and enjoy Shabbat in a very special way. Throughout the next week the 8th grade classes each had a turn to come experience the high school in a very unique way. They were split up in to groups and participated in fun educational games with high school teachers. Then they ate lunch and watched an informative video. Afterwards they were split up by interest and got the chance to experience a high school lesson such as art, science, an social studies. In the end this turned out to be a very successful program and a great learning experience for both the juniors and the 8th graders. 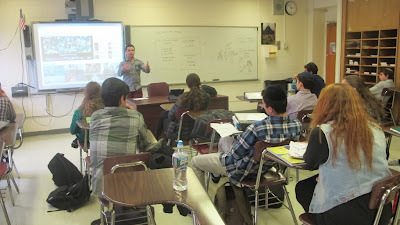 The students in class 3-HR had an exciting opportunity on Monday to reconnect with an old friend, Flatbush alumnus Joey Cohen-Saban, who delivered a passionate session on the necessity of advocacy, the pro-Israel movement, and the US-Israel relationship. 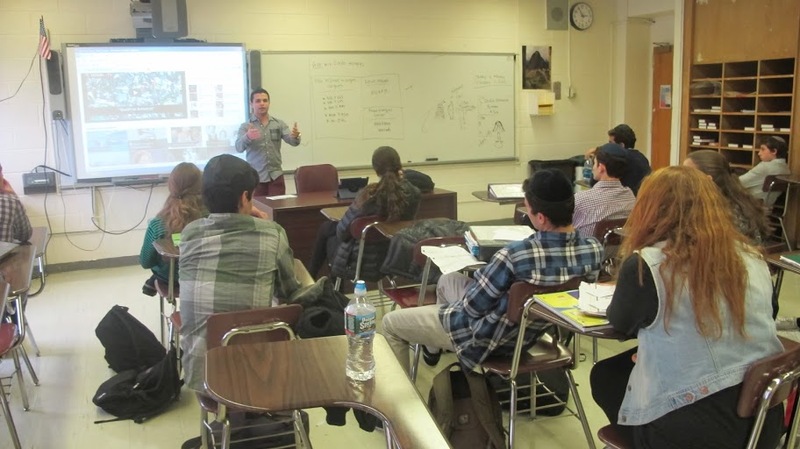 Joey delivered this session as part of his volunteer work in the pro-Israel movement, part of which consists of speaking to students at various yeshivot about the movement, and motivating students to take action and join the movement. Mr. Cohen-Saban displayed five different videos, ranging from the atmosphere on college campuses to the Iranian threat to the US-Israel relationship, and gave a commentary on each video, often consisting of an inspiring personal story. Joey certainly impressed everyone with his succinctness while still managing to cover a wide range of topics and aspects, and sharing information with the students that they never knew before, and which will hopefully make a difference in their lives, as they pursue their goals and chase after their dreams. 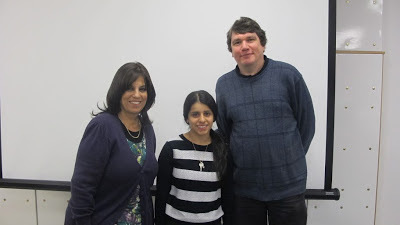 On Friday, February 1, 2013, the Israel Awareness Commission held a meeting discussing Israel's election. Mr. Rothbort explained to the students the complexity of Israel's elections. He explained that the only democracy in the Middle East does not have a simple process of electing a new Prime Minister. Beyond the election various political parties will need to work together to form an effective government. Alumnus Joey Cohen-Saban also came to speak off the record about the event to be held next week at Brooklyn College. Mr. Rothbort together with Mr. Saban put out an important message which was: If you see something that you do not like, you must speak out about it and make your voice heard.